Watch 60 free channels from XUMO on new 2016 and 2017 Hisense and Sharp smart TVs in the US. XUMO, the premier LIVE and video-on-demand (VOD) over-the-top (OTT) service for the digital age, will now offer 60 free ad-supported channels via a designated XUMO virtual input selection on new 2016 and 2017 Hisense and Sharp smart TVs in the US. IRVINE, CA--(Marketwired - January 04, 2017) - XUMO, the premier LIVE and video-on-demand (VOD) over-the-top (OTT) service for the digital age, is teaming up with Hisense, a multinational consumer technology manufacturer and one of the largest television brands in the world, to offer 60 free ad-supported channels via a designated XUMO virtual input selection on new 2016 and 2017 Hisense and Sharp smart TVs in the US. As television consumers are overwhelmed with costly monthly subscriptions, they are actively looking for quick, easy ways to access content. In addition to the lineup of premium XUMO digital content, Hisense and Sharp smart TV owners will be able to enjoy the 'last channel experience' smart TV owners have previously appreciated with traditional cable. XUMO users who ended their session on a channel powered by XUMO will now be able to turn on their smart TV and pick up where they left off with no interruption -- no need to switch inputs or search for the channel or video they were enjoying during their last sitting. 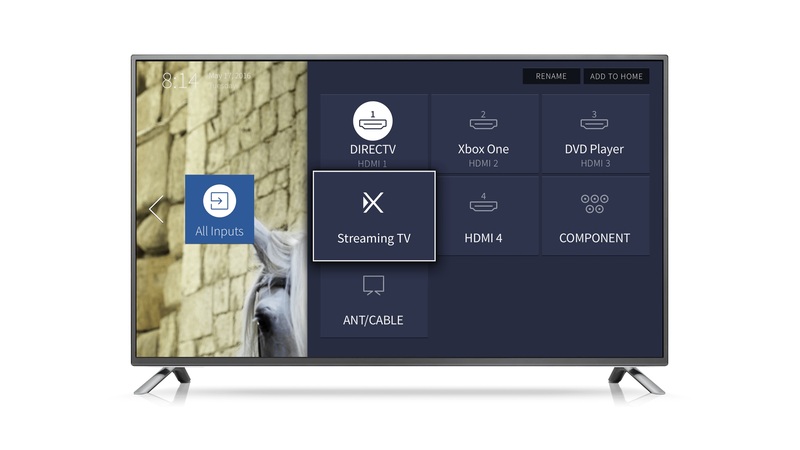 XUMO's native integration also permits the user to search for channels by inputting specific channel numbers on the remote control or by quickly selecting +/- to surf the channels available -- a preferred method of new channel discovery. 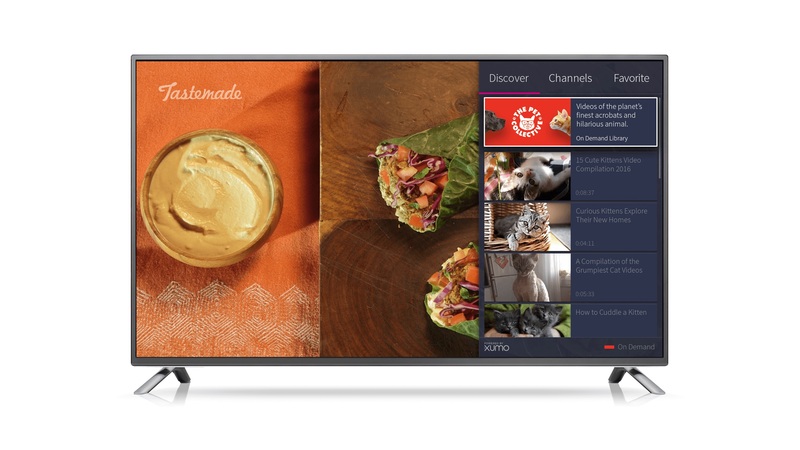 "XUMO's native integration with Hisense and Sharp smart TVs as a virtual input is the first of its kind," said Colin Petrie-Norris, CEO of XUMO. "This strategic partnership with one of the fastest-growing smart TV manufacturers in the world is particularly exciting to us as we continue to provide users increasingly easy access to free, quality streaming content. Delivering a truly hassle-free and digital experience where the user can lean back and enjoy any one of our digital channels is baked into our DNA and we are pleased to have partnered with a quickly expanding and innovative brand in Hisense to bring it to market at this year's CES." "Consumers enjoy Hisense televisions because they maintain a seamless user experience," said Mark Viken, VP of Marketing, Hisense Americas. "Our agreement with XUMO means that our consumers have more access to a more diverse array of content than ever before." XUMO's content is able to directly reach new TV audiences through XUMO's innovative product and platform, as it prioritizes the user's choice to select content they actually want to watch. This simple, intuitive experience allows for increased discovery and engagement. XUMO has built an impressive list of over 70 content partners with both live and on-demand options available on XUMO's various platform across smart TVs, iOS and Android devices and Roku. XUMO will be exhibiting at CES, January 5-8, 2017, at the ARIA Sky Suites. To learn more about its premium, digital content or how to become a partner, please visit https://www.xumo.com/.